Create a floral piece for a party or home decor. 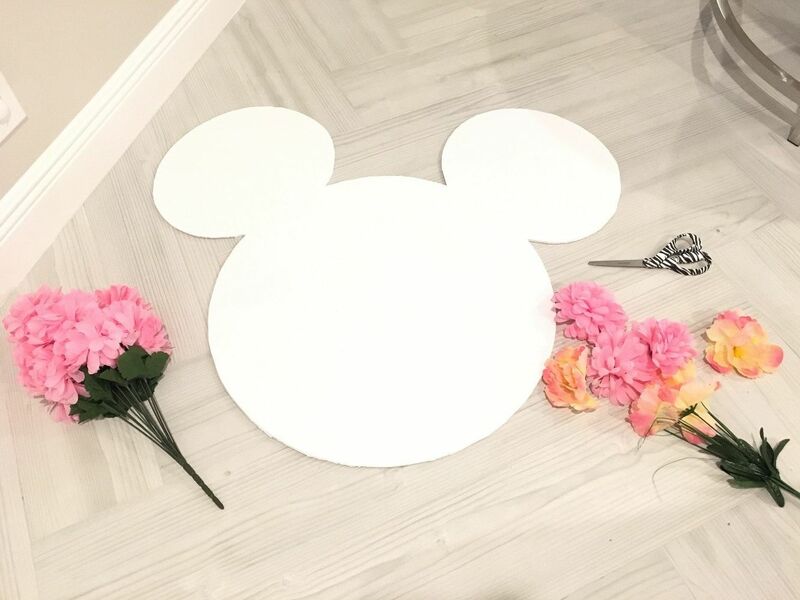 You can use this same tutorial for any shape or size you'd like, not just Minnie! 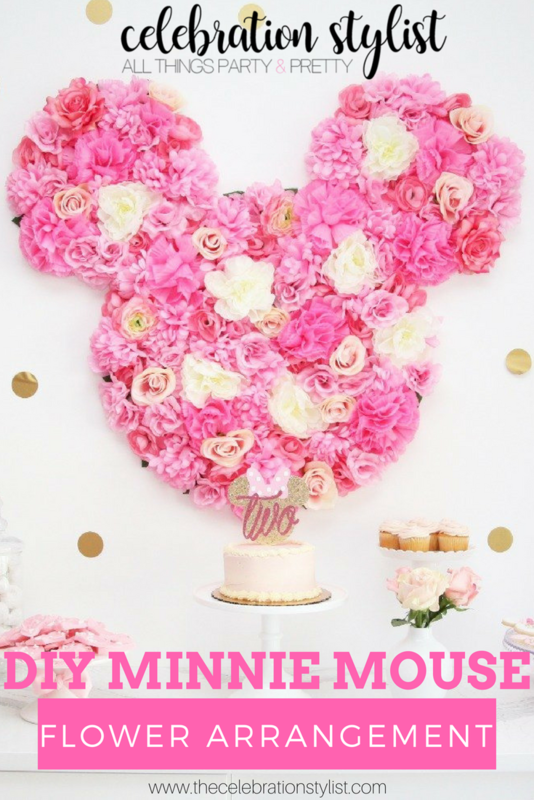 I used this Minnie Mouse flower arrangement as a backdrop for this party and it was perfect and then I hung it in my daughter's room afterwards. 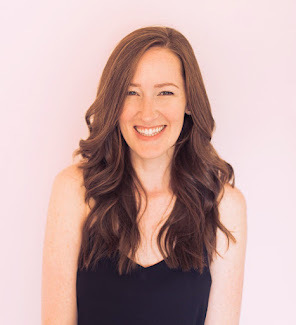 This DIY is a little time consuming but it's still very simple and the outcome is just gorgeous. I made mine while watching TV. I used a variety of sizes, shades, and styles for my faux flowers. I purchased a few larger, more expensive, realistic looking ones with smaller, cheaper ones to use as filler to save some money without compromising the overall look. You can purchase them online in bulk at a pretty good price. 1. Purchase a large foam board from any craft store. 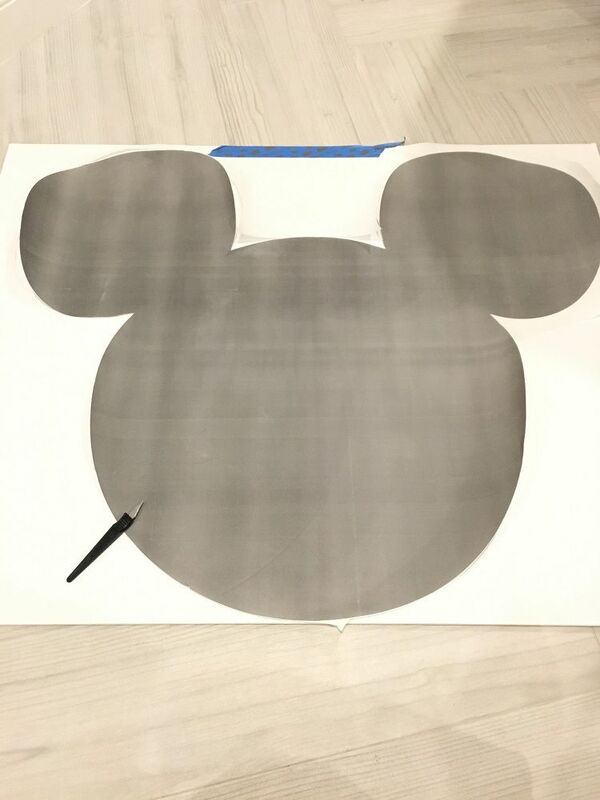 Have your shape printed at Staples or Office Depot as a black and white "engineering print" (super inexpensive) in whatever size you need to fit the size board you purchased. Use painter's tape to adhere the print to the foam board. Then use an x-acto knife to carefully cut out the shape in the foam board. 2. Use scissors and/or wire cutters to cut the stems off of your fake flowers. 3. 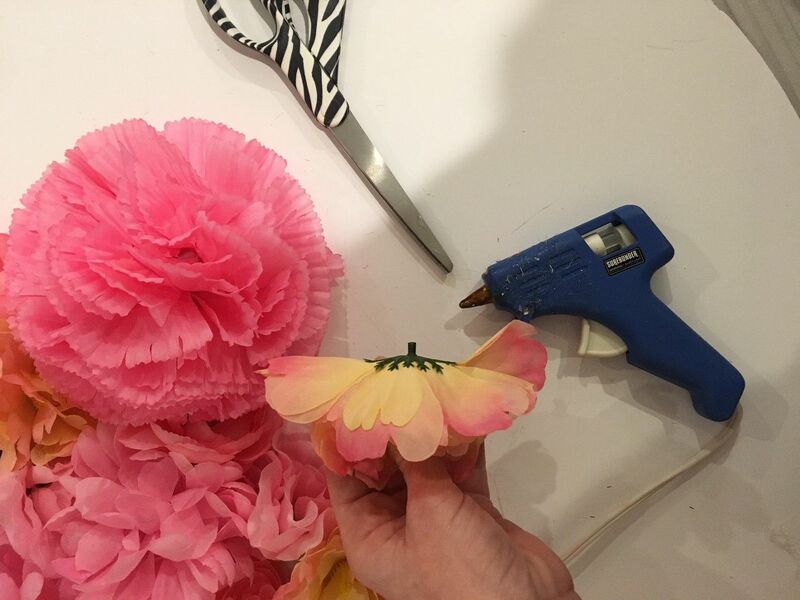 Use your hot glue gun to glue the flowers on the foam board placing them close enough together so that there aren't any gaps but also so that the flowers aren't crowding each other too much. 4. It's very lightweight so you can use command strips to hang on the wall. Hello! 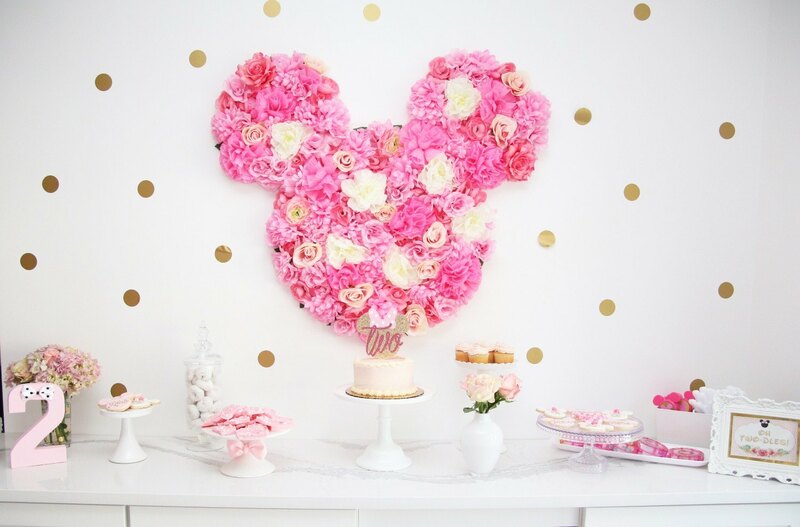 I absolutely loved this and wanted to recreate it for my daughter's upcoming birthday. Could you please provide the sizes of the foam board and the engineering print that you used? Also, in my attempt to get an engineering print, the image shows up tiny in respect to the size of the print. How were you able to get a large image? Hi! Thank you! I got the largest foam board that Staples sells which I BELIEVE is a 30x40. And the engineered print would have been whatever size is slightly larger than that but you can do any size you like! As far as getting the image to work, you can contact Staples directly and they should be able to help you with the sizing. I hope that helps! !